Everyday millions of packaging products, many of which are recyclable, are thrown away without a second thought about the long-term effect on the environment. With a growing interest in preserving our environment, governments have established “Go Green” initiatives to promote and educate the general public about recycling and taking care of our environment. For many retailers, sustainability has become a core corporate value. The big question on many eco-friendly minds is: “How do I go green?” SouthPack offers sustainable packing solutions that are both cost-effective and innovative ideas. Not only will you feel good about your positive contribution to helping the environment, but by choosing to use and implement eco-friendly packaging, your organization will also decrease its environmental footprint. 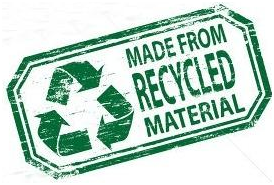 There is more appeal to eco-friendly packaging than just the end recycling component. Most packaging is made from recycled materials than can then be recycled again in an on-going, eco-friendly cycle, resulting in a product that is both environmentally friendly and affordable—an option that most companies are looking for when choosing packaging for their products. Regardless of what product packaging your company requries, SouthPack has eco-friendly options available for all of your needs!